If you are heading to China to refresh your mind, body and soul, this article discusses how you can do it so you come back feeling completely invigorated. Ever feel like you just need to get away from it all? The busyness of everyday life can get overwhelming, so much so we often seek breaks to other locations just to bring back peace into our minds. If you are feeling like you are in need of a retreat, China can offer some stunningly serene sights. There’s nothing like a peaceful view or a soothing sunset to ease the soul after all. Even though China is one of the most densely populated countries in the world, it no doubt has its special relaxing areas. Once you know where they are, you will be able to start planning your refreshing getaway. Finding a reputable and high quality tour company to take you to these locations will be the next step in your planning. To do so, we recommend The China Travel Company. Being a family run, independently owned operator with an extensive knowledge of the country, you can rest assured you will be in great hands. There’s nothing quite like going somewhere and having someone else take care of absolutely everything. This way you can let go of all your worries and be truly relaxed. Want this feeling? We know you do! For more information call or book online today. So where do you want to begin your journey through China? Knowing how you are going to get from A to B is another important part of planning a smooth, relaxing trip. From trains to planes, finding out the latest travel information will help you plan your travels successfully. This beautiful park has at its centre a historical building that features some stunning architecture. If you want to get away from the crowded streets and super touristy areas, this is a brilliant place to go to. In fact, it was once used as a summer retreat by the Emperors of China. Nowadays, travellers come by to enjoy peaceful walks across the bridges and to observe the glorious gardens. You just need to spend a few hours here before you feel like you are in relax mode again. Even though walking up thousands of stairs doesn’t sound overly relaxing, the views are undeniable. Once you are surrounded by the stunning landscape you will forget about all your worries and your troubles will melt away. It’s one of the the country’s charms and is full of history. If you want, you can find a quiet spot and meditate or sit quietly as you watch the world go by. 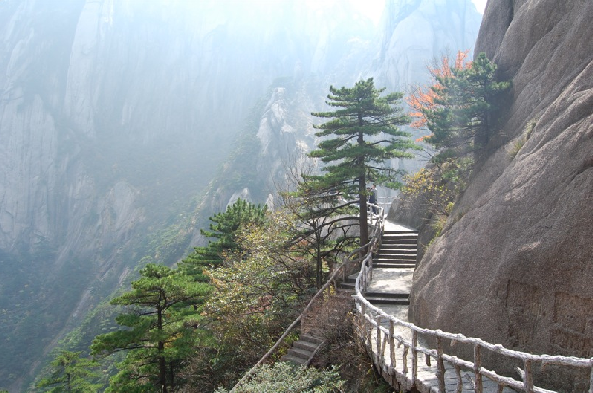 Also known as the ‘loveliest mountains of China’, you can soak up the fresh air in this world heritage site. Nature does something to the soul that we cannot put into words. If you are keen to check out some more mountains plan a trip to Mount Wuyi too. Plan a day going around one of these places and you are sure to come home feeling refreshed and ready to take on life again.